Inside the CHS is moving! In 2006 Barbara started the Manuscript blog on WordPress, talking about all the collections and her experiences working at CHS. She has kept it going mostly on her own, until the rest of the staff volunteered to help out, turning the manuscript blog in to Inside the CHS. Our staff has done an amazing job blogging daily about their passions and experiences working the the museum field. After over a year of growth on WordPress the blog is ready to come home to CHS.org. This blog will still be here, but all new posts, as well as our archive, will be moving to the new CHS.org. So enjoy some of the older posts, discover a new author, or send us some idea for new posts. Dress. 1907-1914. CHS Collection. 1996.175.0. I’ve seen movies and television shows that were set during World War I, but it still amazes me how relatively primitive things were in the early 20th century. That came back to me when I started perusing a diary kept by Oscar Sandell, who served with the Ambulance Corps in France with the American Expeditionary Forces. He did not see any action but served as an orderly and later a chauffeur for the officers at a base hospital. 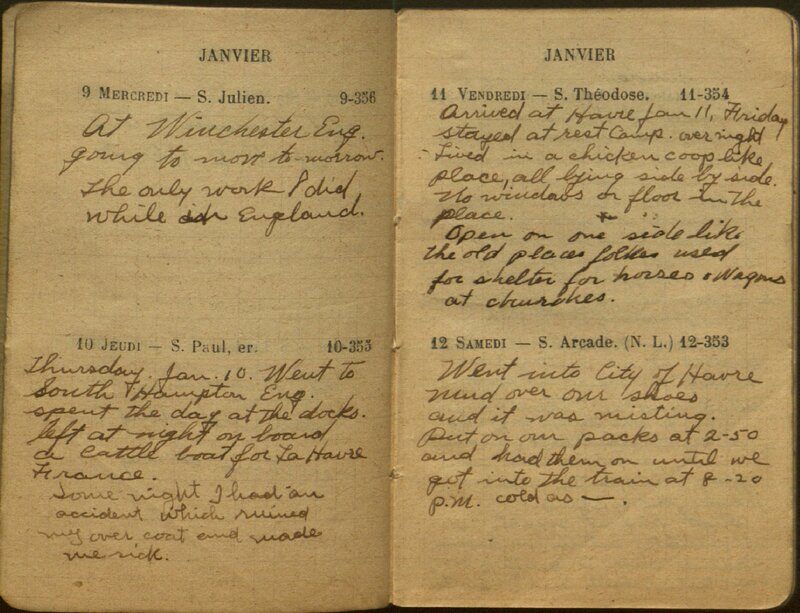 Oscar Sandell’s diary, with an entry about landing at Harvre, France, in January 1918. When he arrived at Havre on January 11, 1918, he wrote “stayed at rest camp over night Lived in a chicken coop like place, all lying side by side. No windows or floors in the place. Open on one side like the old places folkes [sic] used for shelter for horses & wagons at churches.” Nearly every day in January it seems to have rained and the only way to keep warm was by the fire or the wood stove–evidently no central heating. Oscar went in to town to buy lamp chimneys (oil or kerosene lamps, I presume), although they did have flashlights. In the evenings, he mentions listening to “the talking machine.” On February 21 he received his gas mask. Transportation was also an issue. The troops still used horses so he went horse back riding. He had a puncture in his tire and no extra tubes with which to repair the flat so he drove back on the rims (no spare tire, either, I suppose). 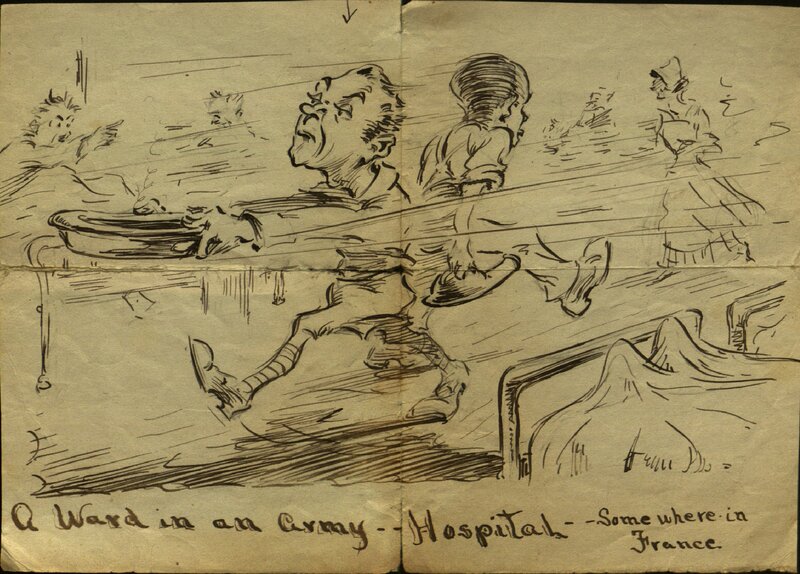 Oscar Sandell may have drawn this cartoon about his experiences with the Ambulance Corps in World War I. With the centennial of the Great War approaching, it is timely that we should acquire the diary and some of the other souvenirs Sandell collected in France. I will no doubt be writing more about the war as the anniversary approaches, highlighting other items in the CHS collection. Artist Richard Welling loved to drawing buildings, especially very large buildings. He was therefore drawn to cities, and his two favorite cities were Hartford, Connecticut and New York City. His drawings chronicling the construction of the World Trade Center are today at the New-York Historical Society, but some of his other New York drawings came to the Connecticut Historical Society with the contents of his studio in 2012. Like Welling, I’m a Connecticut native, but for almost ten years I worked in New York, commuting daily on Metro-North like many other Connecticutians. Welling’s view of the Manhattan skyline looking north over Forty-Second Street is one that I can relate to. The New York Public Library where I used work appears in the foreground. Welling could make Hartford look every bit as glamorous as New York City, and understanding his fascination with New York helps to explain his enthusiasm for the sweeping changes that were transforming Hartford during the late twentieth century. 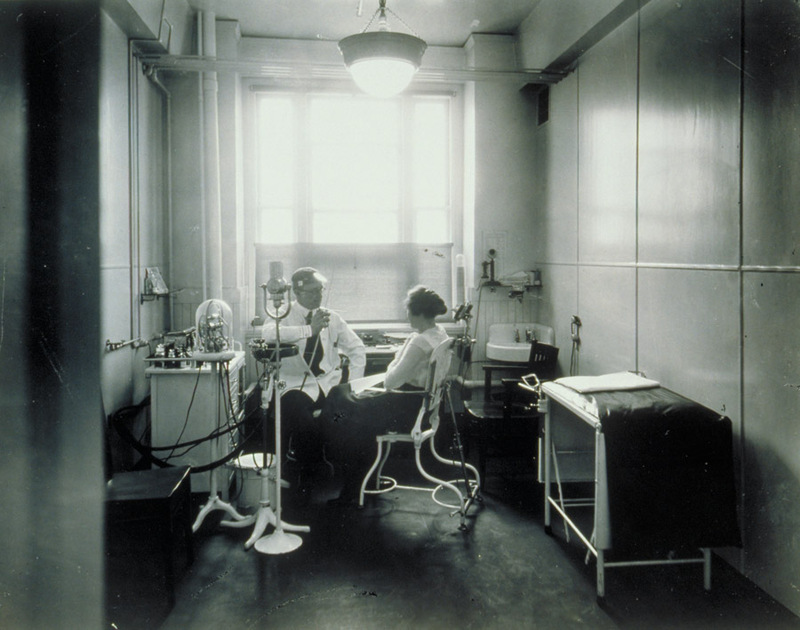 Dentist’s office for employees, Cheney Brothers, Manchester, 1918. 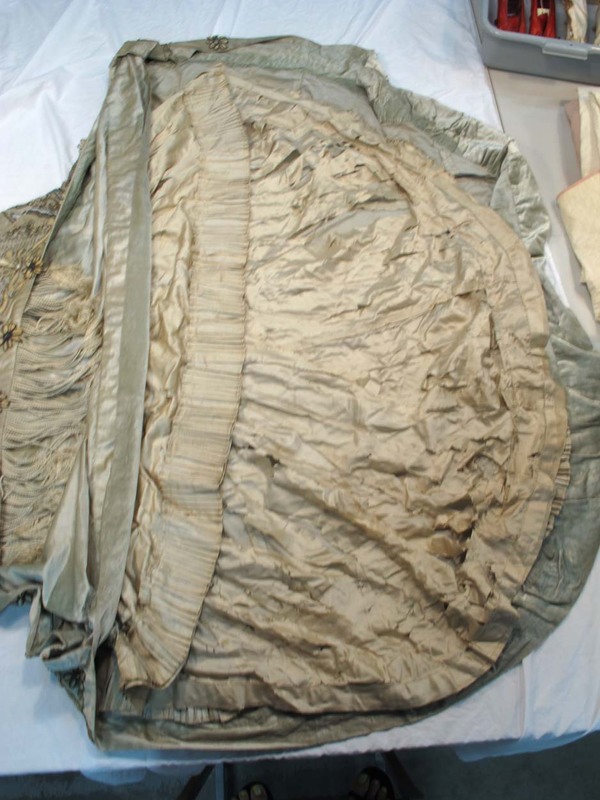 Connecticut Historical Society collections. How many copies does it take? Sometimes you just don’t realize what you are looking at. I was reviewing the Wolcott papers to make sure I put the right volume- and object-numbered document in the correct “folder” of the finding aid (just one step in the project funded by NHPRC to get our manuscripts online through Connecticut History Online). 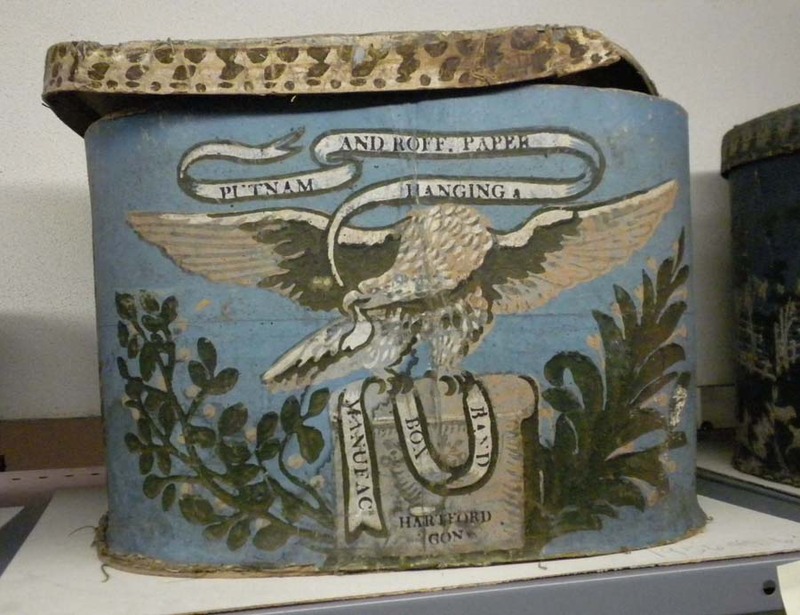 I kept seeing the words “duplicate” and “triplicate” along the top edge of letters dated 1795 in Amsterdam and addressed to the Treasury Department in the U.S. In the upper left, you can see the word “Duplicate”. The letter was “mailed” July 1795 and did not arrive until October. Note that the original was conveyed through Hamburg. It was only by the time I had gotten through three or four folders that I realized that, in 1795, you did not pick up the phone, hop on a plane, or use any technology we are so used to today. In 1795, you sent multiple copies of a document (all done by hand, mind you, in perfect script) via several different routes to ensure the message arrived. I imagine the ones marked “Quadruplicate” were by far the most important. Even then, some letters took months to arrive. What happened to other copies? Did they arrive too and just not get saved? Or did they have some misadventure? Three copies of this letter were sent to the Treasury Department and took seven months. In this day and age when Secretary of State Kerry can be in Ukraine in a matter of hours, how does one even begin to fathom the pace of diplomacy in the 18th century? 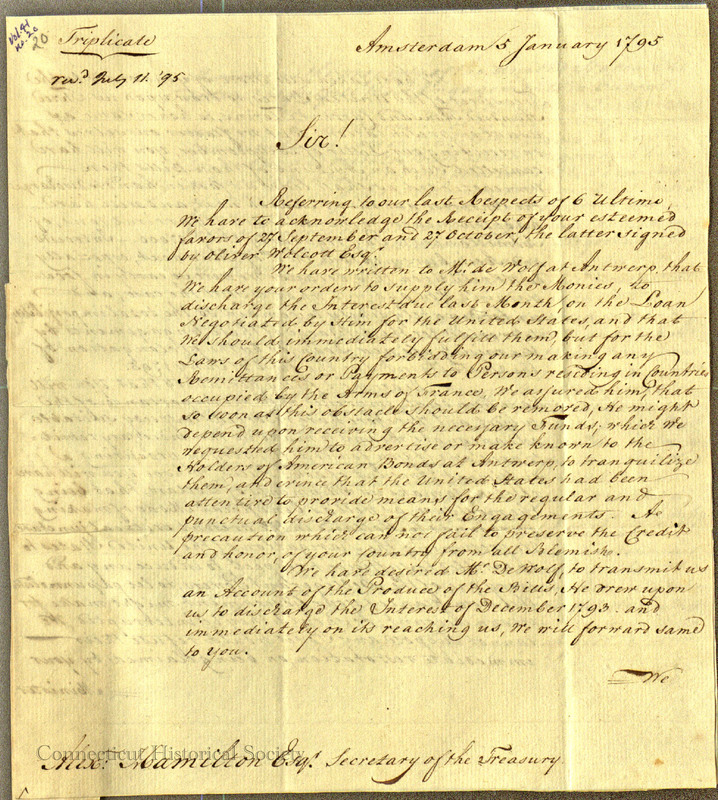 The issue resolved in 1795, to which this letter was a part, was commonly called the Jay Treaty. The treaty averted war between the young United States and Great Britain and stipulated the final withdrawal of British troops from forts in the Northwest Territory. Maybe having to take your time meant you had to think about what you were doing in a more methodical manner. What Does this Photograph of the Farmington River have to do with Downton Abbey? 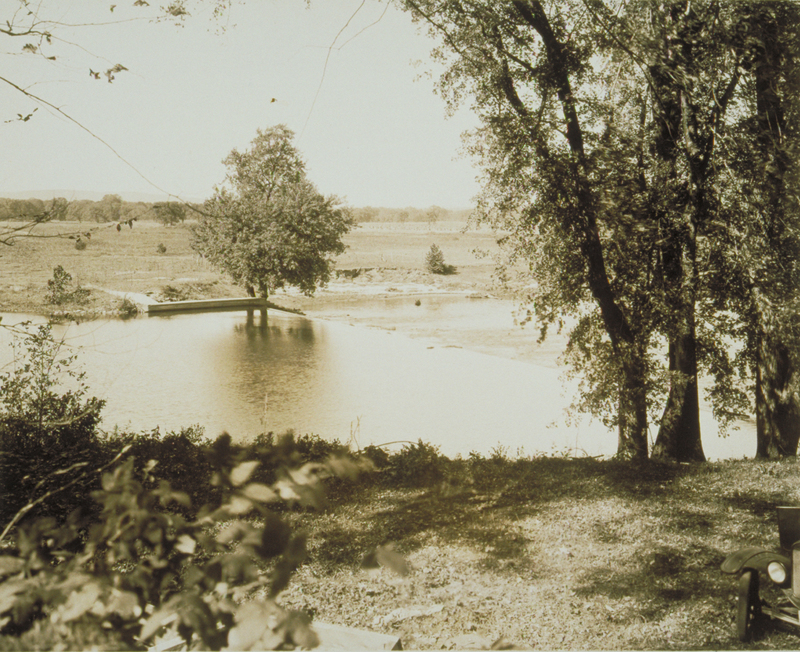 Inscriptions on the back of this 1930s photograph of the Farmington River provide quite a bit of information about it. The dam in the foreground is said to be in the same location as the dam for the first gristmill on the river, established in 1701. 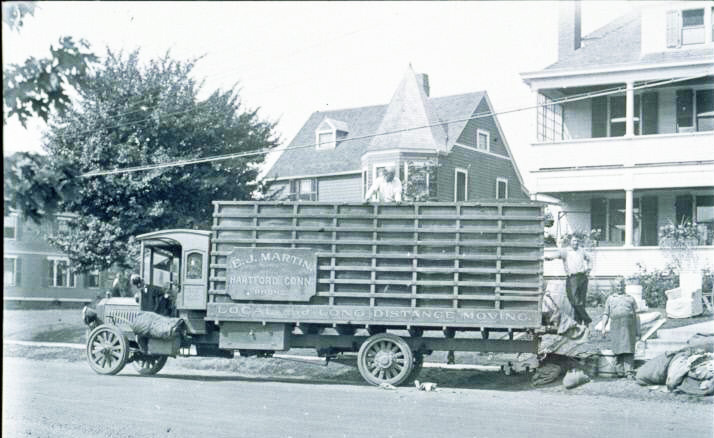 In the 1930s, there was still an active gristmill on the site, known as the Winchell Smith Gristmill. Smith, a noted playwright, invited the filmmaker D.W. Griffith to film a scene from the movie “Way Down East” there in 1920. The building was later a popular restaurant and bookstore, both now closed. I used to enjoy sitting outdoors there on a summer evening, sipping a drink and watching the swallows and cedar waxwings catching insects out over the river. So what does all this have to with Downton Abbey? In an episode last season, the staff of Downton Abbey took the evening off to go to the new American film at a local theater. Richard Welling. Manhattan Art Deco. 2012.284.6301. Richard Welling. Underwood Typewriter. 2011.465.56. Richard Welling. Manhattan Bridge. 2012.284.6305 and .6306. Richard Welling. Underwood Typewriter. 2012.284.6315.